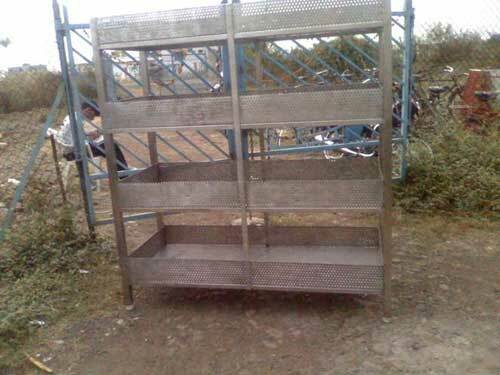 We are one of the most well known names in the list of Vegetable Rack Manufacturers in Nagpur in the entire domestic market. We manufacture Vegetable Rack that are not only the best in quality due to the optimum raw materials used in making them but also highly strong and durable with maximum storage capacity without creating a mess. Our product Vegetable Storage Rack which is highly in demand and widely used all over India by leading vegetable storing houses, malls and hotels and it is a favorite among our customers not only for their capacity to hold maximum vegetables but also due to their hygienic make.